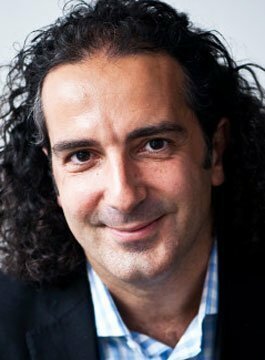 Dr John Briffa is an expert in the use of lifestyle strategies for optimising health, wellbeing and performance. A practising doctor, author and keynote speaker, John graduated with honours from University College London School of Medicine. He practices at Highgate Hospital and the Hospital of St John and St Elizabeth in London. For over 20 years, John Briffa has worked with a wide range of organisations to help them improve individual and organisational well-being and performance. A regular commentator and featured expert on TV and radio, John has written for many newspapers and magazine and was a health columnist for the Daily Mail and the Observer. As a popular keynote speaker, John inspires delegates to live and work more healthily, effectively and sustainably. Why eating less or exercising more is generally ineffective for weight loss in the long term, and what works better. The three simple psychological strategies that harmonise the body and mind and put us in a highly resourceful state. John Briffa understands that while health and wellness is a serious business, being boring about it understandably can be quite a turn-off. John’s presentations are as entertaining as they are educational, and it’s this combination that makes them memorable and impactful, ensuring they improve personal and business performance alike.